ESPN’s Zach Lowe is America’s best sports writer. ESPN’s stats-loving, video-analyzing basketball scribe is the journalist smart fans deserve. Zach Lowe started out as a cops-and-courts reporter before he found his true calling. The morning after the Oklahoma City Thunder stunned the best team in NBA history, ESPN’s Zach Lowe tried to solve the puzzle of the Western Conference Finals. In a 2,000-word piece sprinkled with illustrative videos, Lowe jotted down everything he saw in Game 1: how the Thunder frustrated the Golden State Warriors by switching screens away from the ball, how Oklahoma City’s Serge Ibaka struggled to defend the pick and roll, and how Kevin Durant’s late-game swoon had a lot to do with Andre Iguodala’s smothering defense. This piece doesn’t read like a beat writer’s game story, nor does it resemble a die-hard fan’s exultant (or despondent) postgame blog post. His columns are basketball tutorials, articles that draw on stats, video cut-ups, and interviews with players and coaches to teach you how the sport works. Lowe’s prose is clear, but it isn’t dry; his writing crackles with a kind of conspiratorial glee, like he can’t wait to share all the cool stuff he’s just figured out. Lowe’s pieces and podcasts help the rest of us become better basketball consumers, and they make watching the NBA more fun. If you don’t read him and listen to him, you should: Zach Lowe is America’s best sports writer. Lowe started out as a cops-and-courts reporter before he found his true calling, and he has a news writer’s gift for explaining complicated concepts clearly. How do Tom Thibodeau’s teams play such good defense? Read this piece and you’ll know the answer. The key to Lowe’s success is that more and more fans care to know that answer. Bill Simmons, who hired Lowe to work at Grantland in 2012, embodied the fan circa the early 2000s, that long-ago time when team loyalty trumped all else and before analytics had gone totally mainstream. Unlike his former boss, Lowe abandoned his childhood rooting interest in the Boston Celtics. Now more than ever, pro basketball is a national pastime. League Pass allows anyone to watch any game, and all the best highlights stream by on your Twitter feed even when your TV’s turned off. Zach Lowe, then, is a stand-in for a different kind of sports fan, one who’s at once more obsessive and more itinerant. Sports leagues get the fans they deserve. The NFL, which jealously guards its copyright and didn’t make all-22 video available until recently, actively prevents fans from learning about the game, which means sports writers and analysts are under no obligation to be any smarter. (There are obviously exceptions—I see you, Bill Barnwell and Football Outsiders.) Major League Baseball, though not the most-GIF-friendly entity on Earth, has long made all of its games available online. The sport’s foundational preoccupation with data collection, too, has made it possible for fans and professional writers to figure out how the game works, and to pass along that knowledge to anyone who shares their curiosity. MLB’s release of more and better streams of data, including Pitchf/x and Statcast, helped launch a whole new field of research. Brooks Baseball, for one, allows us to slice and dice every pitch thrown by every major-league pitcher, tracking its speed, movement, and outcome. We wouldn’t have this site if the league didn’t want us to have it. As with Major League Baseball, the NBA has created the conditions under which explanatory multimedia journalism can flourish. Like Lowe, NBA Playbook’s Sebastian Pruiti used images and video to offer smart, insidery armchair analysis. The NBA could’ve shut Pruiti down if it wanted, citing copyright violations. Thanks to the leadership of David Stern and Adam Silver, it didn’t. Though NBA Playbook is now defunct—Pruiti ran the site from 2010 to 2011; he later wrote for Grantland and now works for the Oklahoma City Thunder—a bunch of similar projects have bloomed, abetted by the league’s liberal online video policies. Lowe stands out from his peers because he can play every position. 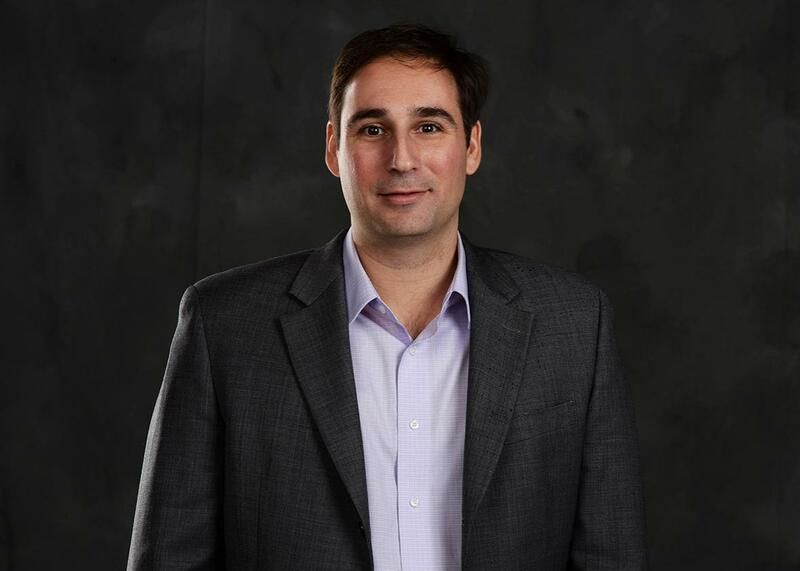 In a 2013 interview with Will Leitch, he explained that ESPN’s sabermetrically inclined baseball writer Rob Neyer “changed the way that I thought about sports.” Lowe, who got his start writing for the ESPN-affiliated blog Celtics Hub before moving on to Sports Illustrated and then Grantland, also learned by reading John Hollinger, the inventor of the catchall stat PER—player efficiency rating—and now the vice president of basketball operations for the Memphis Grizzlies. Lowe speaks in points per possession, understands the finer points of flare screens, and knows his way around a GIF. He’s sourced up in the league, and he’s an unrepentant goofball. (“It has been a dark few years for the mascot community,” began one 2015 column.) He is both a wonk and a polyamorist, a hoops fanatic who seems to care deeply about all 30 NBA teams. Like all great writers, Lowe convinces us that his strange obsessions should be our strange obsessions. Last year, he wrote a long feature on Tobias Harris, a 23-year-old power forward who’d never made an All-Star team or played in a playoff game. The piece worked as both a reported character study, explaining why teams couldn’t agree on how to value Harris’ abilities, and as a philosophical rumination on what makes a good basketball player. Lowe talked to Harris about his style of play, and he asked general managers around the league how they evaluate players on bad teams—the Warriors’ Bob Myers said he “focuses on the last six minutes of close games and watches for specific sorts of non-shooting plays.” By the end of the story, I knew more about Tobias Harris than any human outside his extended family will ever need to know, and yet I was glad I knew it. Some of the more nefarious team executives sequestered in the drawing room wondered before the lottery if the league were aware of smart watches, and if they might be able to sneak in an Apple Watch and communicate the results in real time. Nope. The league specifically warned that all smart watches had to stay outside the room, along with phones and laptops. Lowe’s podcasts have a similarly casual, indiscreet tone. On one recent episode, in the midst of a discussion about the state of the Los Angeles Clippers, he told Bleacher Report’s Howard Beck that “the noise that DeAndre [Jordan] and Blake [Griffin] don’t get along with Chris [Paul] just never stops. Ever.” Much of the time, it feels like sports reporters are holding out on us—that they’re not cluing us in to what they really know. Lowe makes us feel like we’re in the room, that we’re hearing everything he hears. Lowe’s work is a reminder that all is not lost. He is the sports writer smart fans deserve and a smart league helped create.